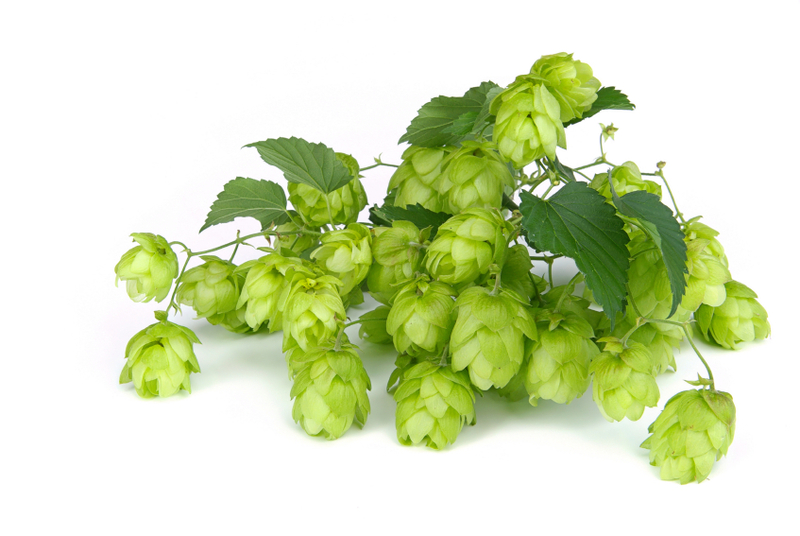 The Latin name for the hop is ‘Humulus lupulus’ or 'Wolf of the Woods'. It is a tall climbing plant and is one of a small number of species that are dista ntly related to the cannabis plant i.e. hemp, the nettle and the elm. 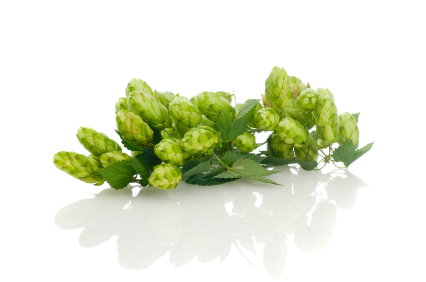 The plants are dioecious, which means that the males and female flower on separate plants, and only the females bear the hop cones required in the brewing process. Flowering occurs in July and cones begin to form when changes occur within the flower. Made of soft tissue, the parts that form the cone are known as petals. it is on the inside of these petals that the lupulin glands form, looking like large yellow pollen grains. Lupulin is resinously sticky to the touch: a stiff oily substance, of very complicated chemistry found nowhere else in the plant kingdom. It includes volatile oils whose presence and correct balance are important to the flavour of beer. The lupulin glands also contain resins, the most important being the alpha acids, which confer bitterness and whose preservative properties are essential to beer. Subtle differences are evident in cones of different hop varieties. The plants are perennials, produced from cuttings, and can be expected to remain productive for 10 to 20 years or more, sending their roots down to a depth of 12 feet. Each year they die back to ground level and regrow in the spring, with the support of strings or poles, to a height of at least 16 feet. Each hop variety originates from an individual seedling, and the plant breeding programme of Horticulture Research International (HRI) at Wye in Kent specialises in producing crosses that yield new strains of hops with good brewing and growing characteristics. The UK hop harvesting season takes place from late August through to Early October. Bines, the hop plant laden with the all important cones, are cut at a height of three feet above ground and brought in from the field. Here they are fed into a picking and sorting equipment which separates the valuable cones from the leaves and stem. The tender hop cone requires careful handling throughout this process. Drying of the hop cones takes place in a kiln or oast house, which is a familiar sight in the landscape of Kent, Hereford and Worcester, England. The Moisture content is reduced from about 80% to 10%. The product is packed into pockets or bales weighing around 85 kilograms for dispatch to breweries or for further processing. 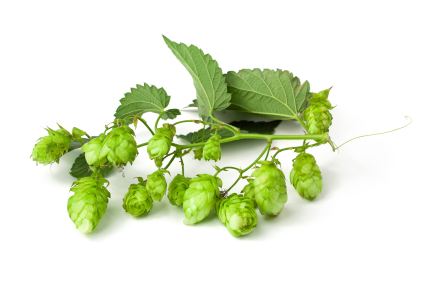 The hop is an essential ingredient in that most natural of processes, brewing, providing natures solution to the bittering, preservation and flavouring of beer."